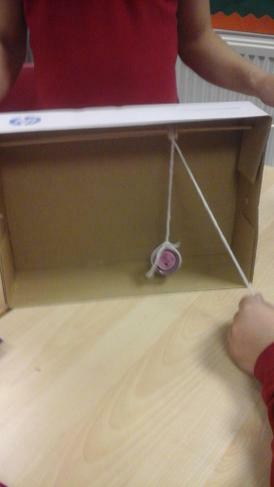 In Year 6 we have been experimenting with leavers and pulleys. 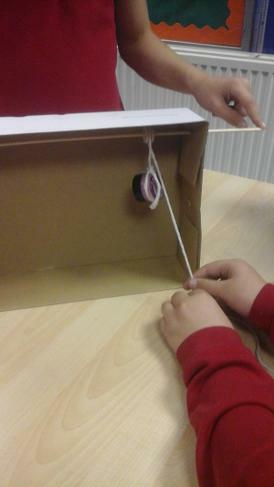 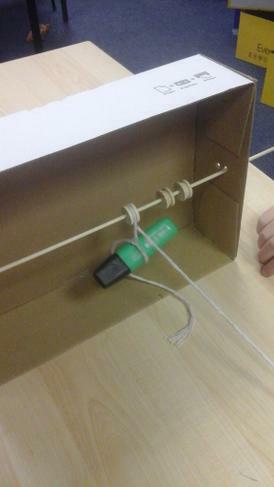 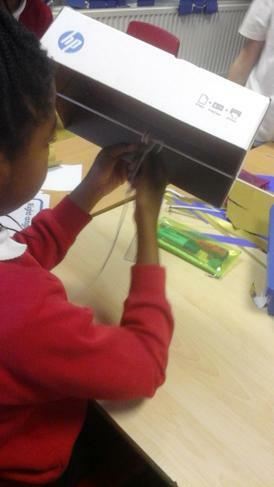 We have used a cardboard box, cotton reels and string to make a pulley system that lifts an object. 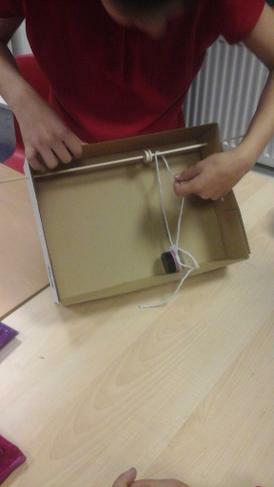 We also looked at how a leaver can be used to lift heavy objects. 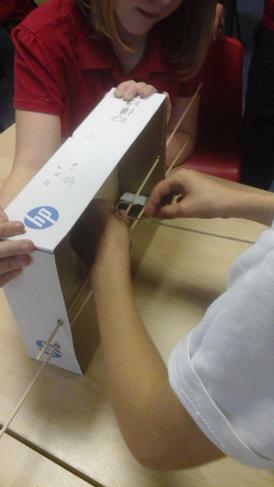 We are designing our very own box to keep the philosopher's stone safe in. 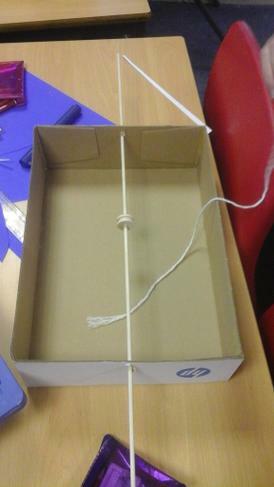 It needs to be innovative (to persuade Dumbledore to purchase it) as well as functional. 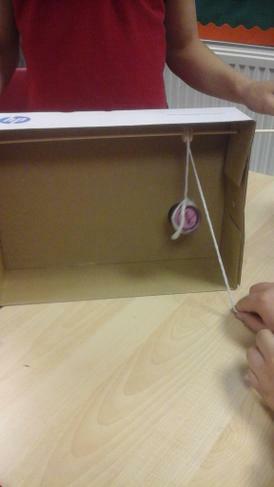 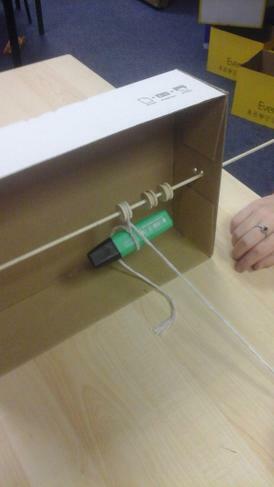 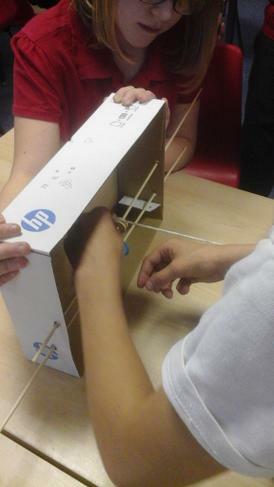 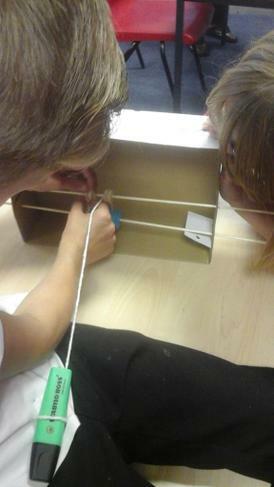 We considered the audience and purpose and experimented with pulleys and levers to give the box an added function.